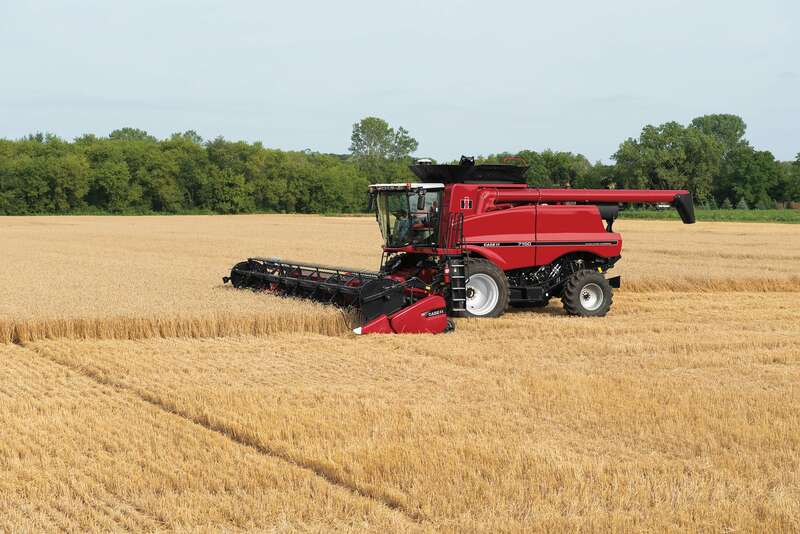 Enhanced Case IH Axial-Flow® 150 series combines increase productivity, featuring the legendary single rotor technology, combined with the Cross-Flow™ cleaning system and increased grain handling capacity to help you put more high-quality grain in the tank. Perfect for owner operators and fleet operations, the 150 series Axial-Flow® combines deliver maximum peace of mind through a simple-to-operate, efficient and reliable design featuring a belt-driven rotor. With proven Tier 4 B/Final emissions-certified 6.7 L to 8.7 L engines, up to 375 engine horsepower at 2100 engine RPMs and up to 300-bu. capacity, they give you the same superior grain quality, grain savings and value as the larger 250 series. Designed to commemorate the rich, 40-plus-year legacy of Axial-Flow® combines, the new 150 series combine joins the 50 series combine lineup. The 150 series combines feature heritage styling, color schemes and decals of the original Axial-Flow combines. The memorable white cab tops and tire rims give way to the latest harvest advancements, including the Cross-Flow™ cleaning system, 2-speed electric shift transmission and a host of productivity enhancements. 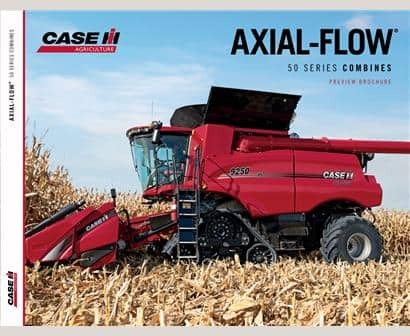 Whether you want simplicity and convenience or superior control, Case IH Axial-Flow combines are available with the single rotor technology that is right for you. Our 150 series delivers proven technology through a simple, efficient and reliable belt-driven rotor design. High-capacity combines need large high-capacity cleaning systems. Axial-Flow combines match cleaning system capacity to the size of the machine, providing superior productivity, grain sample quality and savings. The Cross Flow cleaning fan uses its patented design to deliver consistently clean grain samples no matter the harvest condition. The Case IH residue management system is built to handle the tough residue associated with new crop genetics. This system delivers consistency across the larger header widths used on the Axial-Flow 150 series combines, helps prepare the ground for next year’s crop and can create consistent windrow formations and long straw for baling. From tillage to livestock demands, we offer the widest range of residue management features on the market. Case IH Advanced Farming Systems precision farming solutions integrate technology into your combine to put you in control of your harvest. with the factory-installed AFS AccuGuide™ autoguidance system and more, you have the tools to optimize harvest — no matter the field conditions or operation skillset. The Axial-Flow® 6150 combines Case IH patented Tier 4/B Final SCR-technology with the most innovative drive systems and fewest drive components to deliver the efficiency and productivity your operation needs.